Detail from St. Martha's House Brochure . Caption:"The Kindergarten". 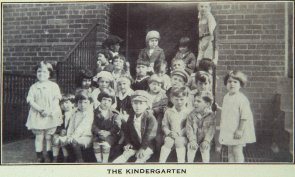 Group portrait of children sitting in front of St. Martha's House.